To download a high-resolution version click here. JEFFERSON CITY, Mo. – The prestigious World Energy Council’s Future Energy Leaders program has invited a former co-chair of the Next Generation Scientists for Biodiesel to join. Deval Pandya, currently a Data Scientist in Advanced Analytics at Shell, will participate in the program designed to help shape, inspire and grow the energy leaders of tomorrow. 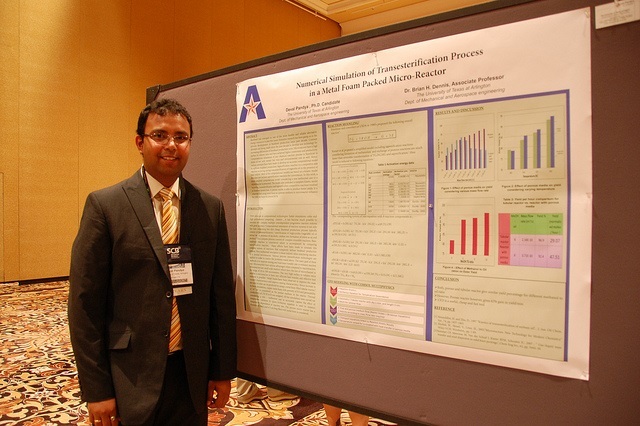 Pandya served as a co-chair of NGSB from 2011 - 2013, while pursuing his Ph.D. in mechanical engineering from the University of Texas at Arlington. He attended the National Biodiesel Conference & Expo three times as a student, as well as other events like the Biodiesel Technical Workshop, featuring top biodiesel scientists from around the world. The NGSB program is intended to foster professional relationships between budding and established scientists, share accurate information and increase collaboration with academia and the biodiesel industry. The National Biodiesel Board oversees the program, with support from the United Soybean Board and other funders. Pandya said he’s honored to be selected as a Future Energy Leader, and believes serving as co-chair of the student biodiesel program added value to his application. Pandya will contribute to the Council’s global dialogue on energy, with upcoming meetings taking place in London and Milan. Meanwhile, the NGSB program seeks two new co-chairs to join sitting co-chairs Jennifer Greenstein, North Carolina State University and James Brizendine, Missouri University of Science and Technology. Applications are due May 4. Visit BiodieselSustainability.com/next-generation-scientists-for-biodiesel/ for information on how to apply. For more information on biodiesel, visit www.biodiesel.org. For more information on the scholarship program, visit www.biodieselsustainability.com.